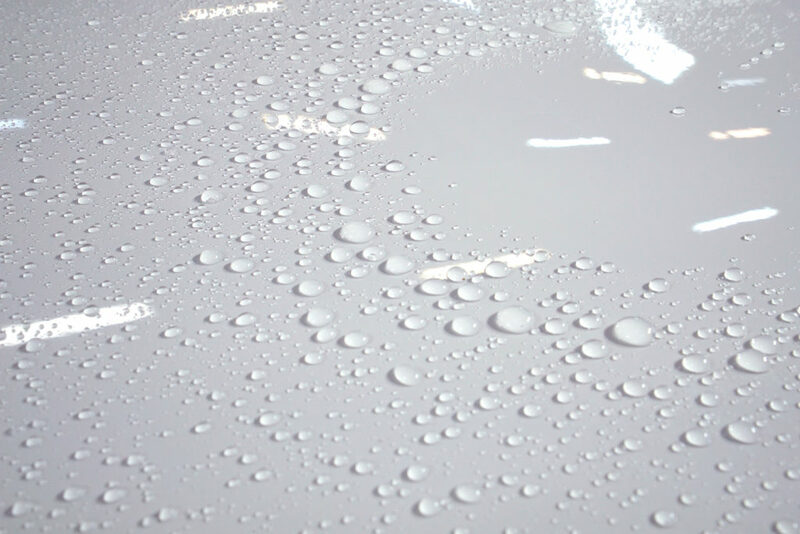 Additional Ceramic Coatings for all surfaces - EVS Motors Inc.
By now most of you probably heard of ceramic coatings for the paint. But did you know that there are additional Ceramic Coatings for other surfaces and materials as well? Let me show you a few options to give you additional protection. Like paint, other parts of the vehicle can be just as difficult to keep clean if not more. Coating companies released coatings for all kinds of surfaces over the past few years. Below I will mention a few and why they can be beneficial to you. We can actually coat all your windows and even mirrors with ceramic coating. This will make rain run off like nobody’s business. You remember Rainex? Just imagine that on steroids. Depending on the brand of the coating, a good window coating should last 1 year. On the front windshield it might be less if you still decide to use your wipers regularly. But honestly, with the coating you will most likely not need them much anymore. If you have a German performance vehicle, you probably know the struggle of break dust already. With ceramic coated wheels it will allow you to clean the wheels easier and avoid break dust from staining the finish of your wheels. It is recommended to coat the wheels when they are new but they can also be coated later on, which will require a deep cleaning first. Client especially like this option for wheel designs that are very intricate and hard to clean. Many new high end vehicles have a full leather interior, with leather door panels, seats and dash board. To avoid staining, especially with dyed jeans (jean transfer), you can get all leather surfaces coated with specific leather coating that bonds to the leather and makes it hydrophobic. 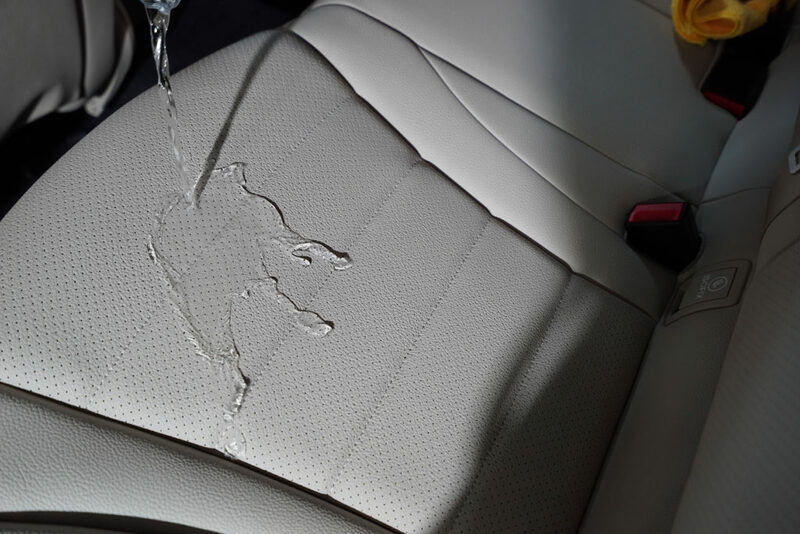 This means even if you spill something on your seat, it will sit there until you wipe it off. Perfect for people that like a nice car but also have a family with kids. This coating is specifically for vinyl interior and exterior. It will protect exterior trims from fading which makes them look grey instead of black and often gets white stains that even after cleaning come right back. Vegan leather is also considered vinyl which will protect your seats from stains and makes it easier to clean up a mess made by spilled drinks. To avoid stains on your carpet, it is best to coat your carpet when it is new. If your car is older it has to be deep cleaned to remove as many stains as possible and make sure to not seal in any dirt that could be cleaned off. Depending on the condition of your carpet, some stains might not come out all the way. This coating will also allow you to wipe off dirt because it will not sink into the carpet right away like it would on un-coated carpet. You can see that additional ceramic coatings can be beneficial in protecting not only the exterior but also the interior of your vehicle. If you had questions about the services or want to get a quote for your vehicle, call our studio at 888.878.2213 or email sales@evsmotors.com. For all services on a used vehicle, I would suggest to stop by the studio to have us take a look in person if you want a more accurate quote.